Do your employees trust you? One international leadership expert goes over how to answer this with a resounding yes. This quote by world-renowned organisational psychologist Elliot Jacques is a simple but clear definition of trust that applies specifically to HR, said Peter Mills. 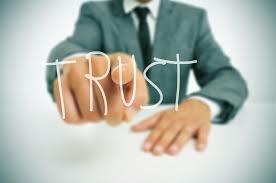 As an HR management and leadership expert with 30 years of experience, Mills knows a lot about trust in the workplace. Competence is always required to build trust, Mills said. If a manager lacks the ability, leadership can unconsciously pass to another member of the team causing confusion amongst workers about who the actual leader is. Demonstrated capability goes beyond hard skills, Mills said, adding that managers should also have excellent people skills and be able to handle day-to-day issues such as dealing with employee complaints. “Part of the role of a manager is to build and lead an effective team, so that each member is fully committed to, and capable of, moving in the direction set,” he said. Developing them in their roles. In addition to satisfying a manager’s moral and legal obligations, building a safe workplace also helps nurture trust with employees, Mills said. The application of workplace systems should always be consistent, he added. For instance, a manager who fails to respond to a policy breach will widen boundaries with what workers perceive they can do – which will ultimately affect performance. Finally, managers should keep all workers constantly engaged by ensuring they are informed of what is going on and offered opportunities to be involved, Mills said. However, he warned, this does not mean the team is a democracy. Instead, while managers should gain inputs from workers, they should still make the final decision especially since they will ultimately be held accountable.